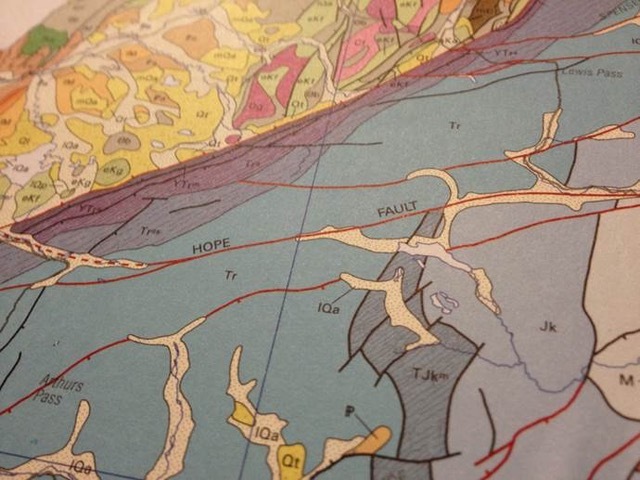 Tracy Farr’s latest novel, The Hope Fault, draws imaginatively on geological metaphors. The title is a real feature which you can see in the Unfolding the Map exhibition. The book explores the faultlines that run under the surface of human relationships, and it’s also about uncertainty — the unsettling idea that the earth might shift, literally or metaphorically, at any time. The Hope Fault is a novel that — like its author — finds poetry and beauty in science, and pattern in landscape. In this event, novelist Tracy Farr discusses the ideas and inspiration behind her writing with geologist Simon Nathan. Please RSVP to events.natlib at dia.govt.nz<mailto:events.natlib at dia.govt.nz> with Hope Fault in the subject line.